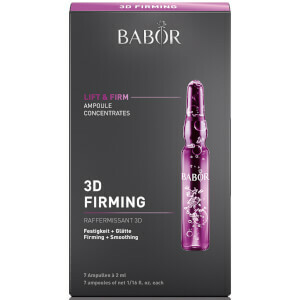 Boost skin’s youthful capacity with the Collagen Concentrate Ampoule from Germany’s leading professional skincare label, BABOR; a single-use, anti-ageing ampoule that stimulates skin’s natural collagen production. 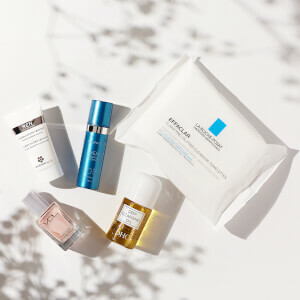 Plumping the skin from within, improving its tone, elasticity and firmness, the concentrate significantly reduces the appearance of fine lines and wrinkles, resulting in smoother skin. Aloe Vera, biosaccharides and NMFs (natural moisturising factors) create a film of moisture over the skin supplying the complexion with all day hydration. Shake the ampoule before use. Wrap a tissue around the neck of the ampoule, grasp it firmly, and with a sharp movement snap it open at the lower, coloured ring. Alternatively, use the enclosed ampoule opener. Pour the fluid into the palm of your hand and then smooth over cleansed face, neck and décolleté. Pat gently into the skin, then apply a moisturizing cream. Aqua, Polyglyceryl-5 Laurate, Glycerin, Butylene Glycol, Methylsilanol Mannuronate, Sorbitol, Phenoxyethanol, Panthenol, Parfum, Carbomer, Allantoin, Propylene Glycol Dipelargonate, Aloe Barbadensis Leaf Juice, Sodium Lactate, Sodium Pca, Ethylhexylglycerin, Potassium Sorbate, Biosaccharide Gum-4, Sodium Hydroxide, Biosaccharide Gum-1, Pantolactone, Palmitoyl Tripeptide-5, Sodium Benzoate, Fructose, Glycine, Citric Acid, Inositol, Lactic Acid, Urea, Niacinamide, Sorbic Acid.